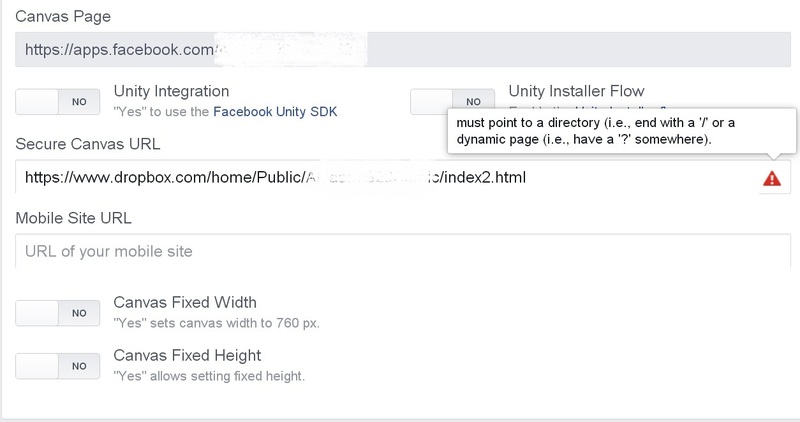 After you have created your webgl game, upload it to your server and want to finally use it in facebook canvas, you will find Facebook asking for HTTPS site. You are already tired from game development and don’t want to pay yearly fee for SSL certificate, so you can upload your game to the public folder of Dropbox! But again you get another error! But the solution is too simple. Just add ?secure to the end of your dropbox URL and you’re good to go!